Dr McKeating has been at the practice since October 2000. Prior to this he served in the Royal Navy as a Medical Officer. As a GP Trainer, Dr McKeating supervises and trains Doctors who are completing their post-graduate qualification in General Practice. Also as a Clinical Tutor with The University of Nottingham, Dr McKeating supervises final year medical students' who are gaining experience in General Practice. He is also on the Governing Council of the British Medical Association. Dr McKeating has particular interests in carrying out Minor Surgery, doing Joint Injections and Men's Health. 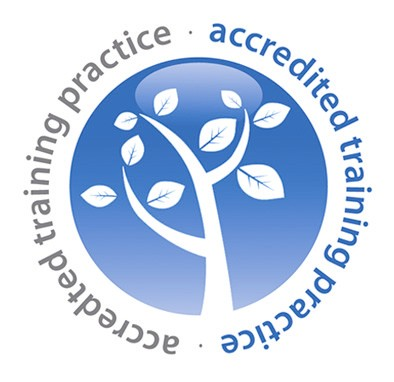 Dr McKeating is the lead partner for teaching, HR & clinical governance. Dr Jobling is the Child Safeguarding Lead for the practice and teaches 1st and 2nd year Medical Students. Dr Jobling is the lead partner for financial management of the practice and represents the practice at CCG and Federation meetings. Dr Alurwar qualified in 2000 and spent the formative postgraduate period as an Anaesthetic & Intensive Care trainee in Leicester and Shrewsbury rotations before completing General Practice training in the Mersey region. Dr Alurwar enjoys the wide and varied work in General Practice and has particular interests in Pain management, Respiratory, Musculoskeletal Conditions and Men's health. Dr Alurwar is the lead partner for IT, clinical systems and information governance. Dr Whitehorn qualified from the University of Nottingham in 2012 and spent her postgraduate period working in the Nottingham City and QMC hospitals doing rotations in General Surgery, Stroke Medicine, Respiratory Medicine, Paediatrics and A&E. Originally from Birmingham, Dr Whitehorn returned to Birmingham and completed her General Practice training. During this time she worked in Obstertrics and Gynaecology. Having missed Nottingham, in August 2017 Dr Whitehorn returned to Nottingham and has now joined us here at Highcroft Surgery. Dr Ho graduated in Medicine from Barts and The London School of Medicine and Dentistry, Queen Mary, University of London and completed his GP training locally in Mansfield. Dr Ho lives in Nottingham. He enjoys mountain climbing and swimming. An Advanced Nurse Practitioner, (ANP), is a very highly trained Prescribing Nurse who is able to see and treat a wide range of medical problems. Advanced NUrse Practitioners work alongside Doctors and can refer patients' to hospital or for further tests as needed. BSc, PGDip, PGCert, DipHE, RGN. Julieann Gray is an Advanced Nurse Practitioner and our Chief Nurse. She is responsible for leading and developing our Nursing team. A highly experienced Nurse spanning 19 years in various acute Hospital specialities and General Practice. Julieann Gray has developed a specialist role in the Care of Elderly, managing Advanced Complex Multi-Morbidities and Palliative Care. She has specific interest in Heart Failure, Chronic Lung Conditions and Dementia. Julieann Gray is the Lead Nurse for Palliative Care as well as the Lead Nurse for Care Homes and is highly passionate about improving care in these areas. Julieann Gray is an active member of the CCG and her influence has driven improvements for care of elderly patients' in the Arnold locality. The Practice Nurses see patients' with minor injuries, minor illnesses, run child vaccination clinics; provide cervical smears, travel vaccinations, contraceptive injections and offer reviews for patients' with long term conditions such as asthma and diabetes, as well as a number of other services. Isabel Hayward is one of our Practice Nurses. Keeley Wood is one of our Practice Nurses. She is our Respiratory nurse lead. Julie Corrigan is one of our Health Care Assistants. She is also our Carer Champion. Amanda Clifford is one of our Health Care Assistants. Jessica Miller is one of our Health Care Assistants. The reception team are here to help you. They will assist you in making urgent and routine appointments to see your Doctor, arrange repeat prescriptions and will attempt to assist you in whatever ways they are able and trained. Please note that the confidentiality of patients’ records will be maintained at the highest level by all staff. The receptionists are trained to take essential details sympathetically and in complete confidence. Their job is very demanding so please be patient. Beverley Press is one of our Reception Supervisors. Lorraine Smith is one of our Reception Supervisors. Alicia is one of our Practice Secretaries and is a Personal Assistant. She is part of the Workflow Correspondence Management team. Jo is one of our Practice Secretaries and is a Personal Assistant. She is part of the Workflow Correspondence Management team. Tracey is our Practice Read Coder. This involves read coding relevant information from patients' clinical records into the practice computer system. She is part of the Workflow Correspondence Management team.